We can supply a large range of widows from standard bathroom windows, to glass sliding doors and everything in between. 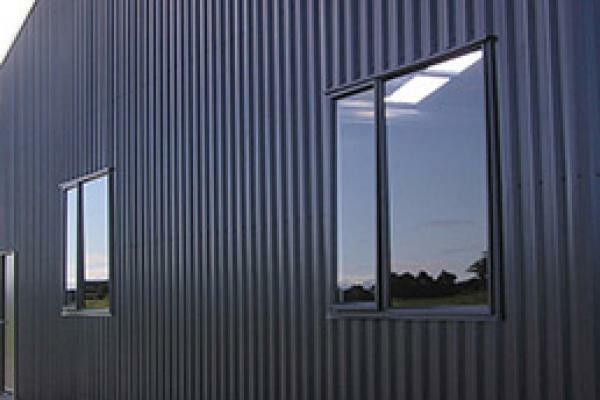 Our windows have been specifically designed to work with sheds. Sheds can be hot. 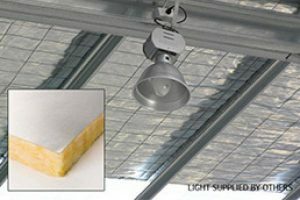 We can supply a colour matched whirlybird that will effectively extract the heat from your roof space. 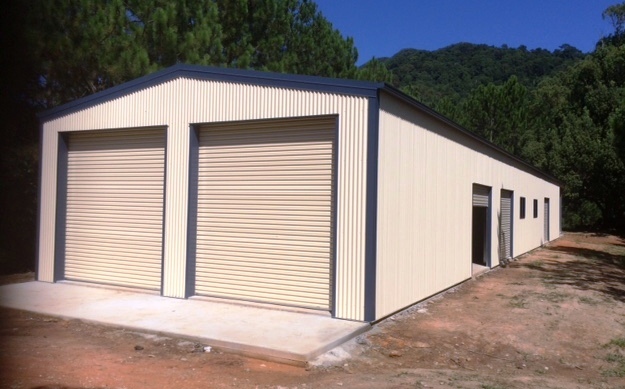 We can supply standard shed doors or quality full frame doors for all your entry needs. Wheel chair accessible doors and double doors can be supplied and all our doors can be inward or outward opening. 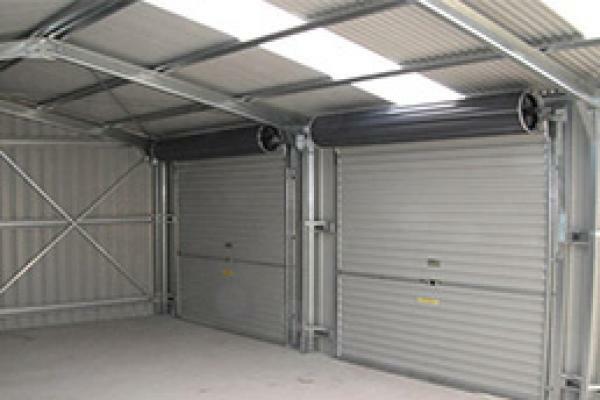 Totally Sheds can design a mezzanine floor to provide storage space in a range of weight capabilities. 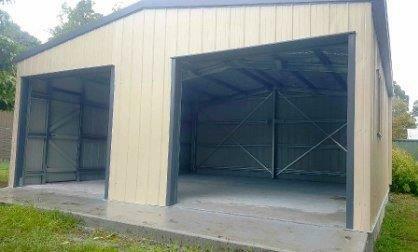 We can construct a mezzanine for a half bay right up to the full shed. 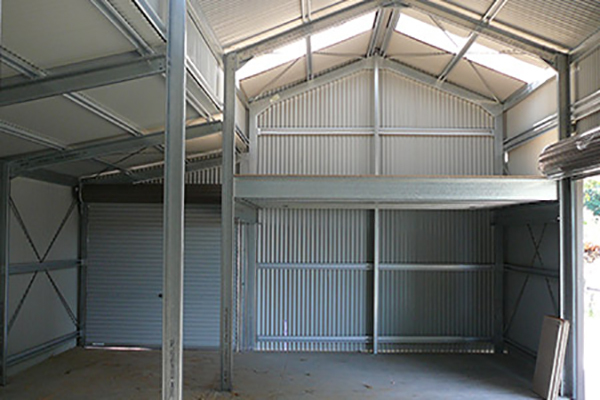 Mezzanine floors are a great way to maximise your shed space. 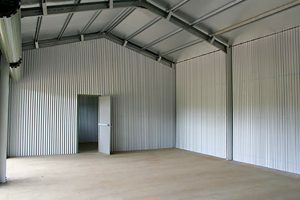 We can provide standard shed insulation in blanket form and quality insulation that can meet your project requirements. Got a specific rating you need to meet talk to us and we will work with you. Nothing worse than gutters that need to be cleaned constantly blocking up with leaves. 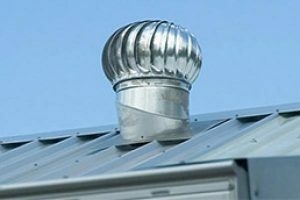 We can provide a quality solution with Gutter Guard – no more cleaning gutters. 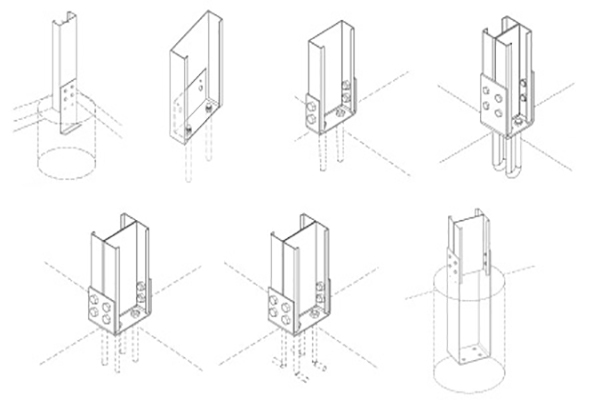 We have a range of fixing methods available from chemset, true bolts, to L bolts and cast in brackets right up to column in concrete. We can supply a range of options for effective solutions to vermin including ground applications and other open joins. 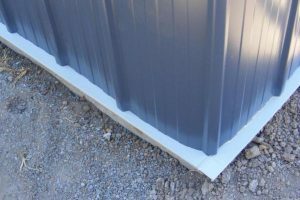 We can supply metal or plastic products for ridge capping, skillion connections, corro corners and others. 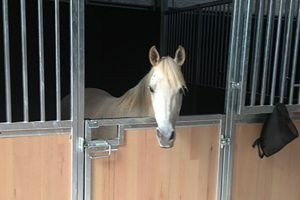 We rely on and use Champion Stables, they work with us to provide the solution to your equine needs. Stable doors, washing bays whatever you need we can get the result you want. 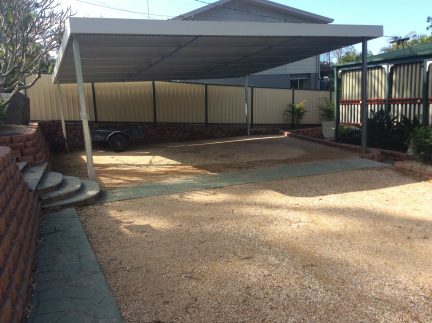 We use full length roof skylight panels to provide your shed with ample natural light. 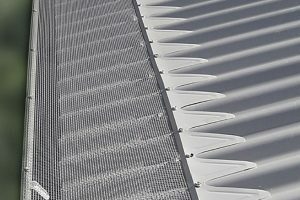 We can provide the sheeting in either fibreglass or polycarbonate depending on your needs. 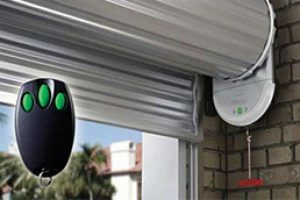 We have a range of motors to provide automatic lifting of your selected roller door(s) everything from the smallest door at 2.2m high right through to industrial motors for the large 5m high doors. Whatever you need we can supply the right motor for the specific application. 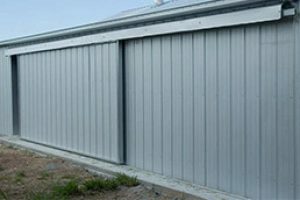 Maybe a sliding steel door is more to your liking? 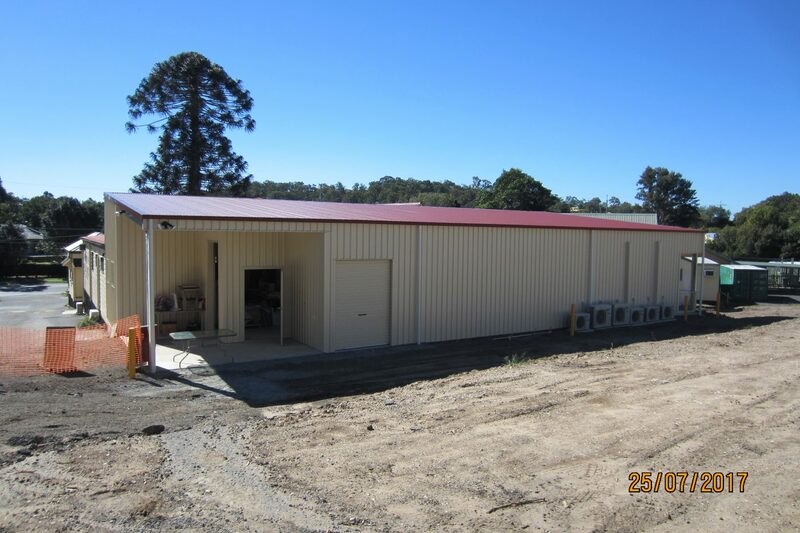 We have sliding doors that are manufactured specifically for your design from 1m wide right up to 6m wide. Your shed can have single or multiple sliding doors on the sides of your shed or the gable ends.I am text block.